Get Certified for your Digital Skills and Master your Change Management Process! 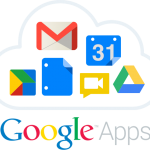 Do you use G Suite, Office 365 or Slack in your company? Do you want to improve change management process? 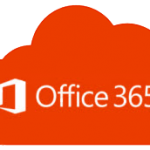 and get your digital collaboration skills certificate! and ensures your complete personal data privacy. 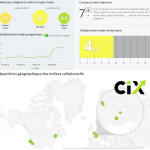 CIX offers a complete set of graphical data’s representations and their progress over time, facilitating the reading of individual and collective positions, objectives and progressions. This comprehensive collection of decision-making tools for individuals, teams and organizations helps to perfectly identify and target progress actions to be suggested and implemented.. 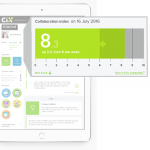 The CIX ™ Collaborative Index is the value of individual and collective collaborative activities and behavior. Individual, it is personal and is exclusively known only by the individual for whom it was calculated; Collective, it is aggregated and benchmarked with Collaboration IndeX community. Based on the concept of the “Quantified Self” paradigm, the automated and factual measurement is based on an analysis of digital collaborative behaviors. Also based on a new academic and operational typology of collaborative activities, it uses a complex algorithm mobilizing more than 70 variables of activities and behaviors. 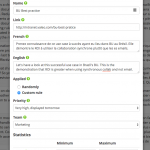 The “intelligent” recommendations engine is based on a thorough analysis of activities and progression situations to suggest customized best practices to each other according to his / her profile and the organization’s objectives. 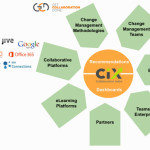 CIX is an empowerment tool for helping people to become more effective and autonomous, on daily tasks ; it consolidates and accelerates the adoption of collaborative practices, individual and collective efficiencies, and at last organizational performance. 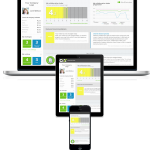 CIX is a virtual coach. 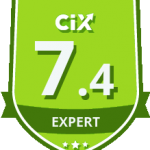 CIX is a communication platform allowing to disseminate contextualized and customized recommendations to people targeted categories, segmented by index levels, as well as a dozen additional criteria that respect the anonymity of the users. 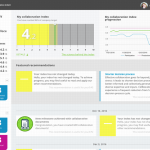 Collaboration IndeX ensures security and strict confidentiality of the personal data collected and processed. 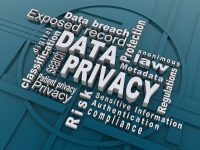 Following privacy-by-design GDPR European rules, all companies and employees using Collaboration IndeX are strictly secured that there data will never never be used for any other purpose than to compute their own index, and that all data processed is always anonymized by Collaboration IndeX. 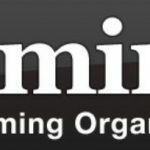 Data collection, processing and hosting are carried out exclusively by Kimind© and no other third party. 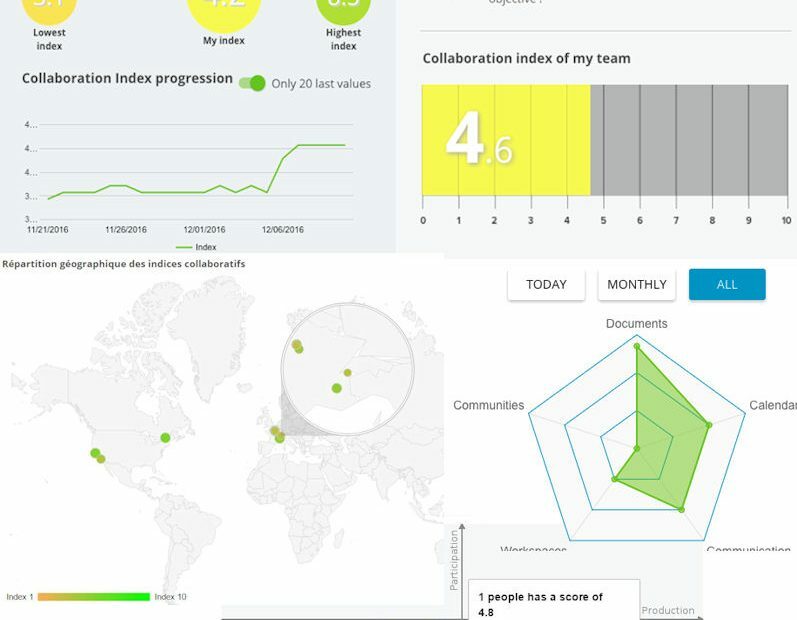 The data produced by Collaboration Index ™ is exclusively known by the user, including for professional and collective use. Kimind consultants and CIX development partners are project managers, functional and technical analysts, developers, digital collaboration practitioners, experts in change management and digital transformation. They are mostly founders or contributors to the 2.0 enterprise paradigm. The approach aims to facilitate the adoption of new forms of collaborative work. Kimind helps individuals and organizations to reach higher individual and collective efficiency, to improve performances.